SAINT AUGUSTINE – Vilano Beach is where it’s happening on Memorial Day Weekend. 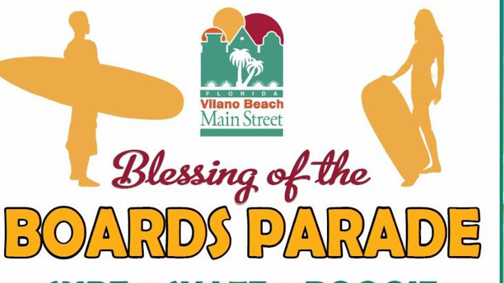 Saturday, May 27, from 9 to 11 a.m. it’s time for the Blessing of the Boards Parade, with surf, skate, boogie, skim, paddle and evening ironing boards blessed. The event is planned from the beach to the pier and back. For information go to http://www.vilanobeachfl.com or call 904-540-0402. Also coming up at Vilano is the Art Walk off the Beaten Path. That’s from 6 to 9 p.m. the first Friday of each month beginning at Studio Vilano Lindo, 160 Vilano Road. The event is billed as an evening of art and stroll on Vilano’s Main Street.